We are offering an innovative range of superior quality Designer Lamps to our clients. These lamps are perfectly designed to deliver maximum light as well as to add a touch of glamour and style to your interiors. These are available in different sizes, shapes, intricate designs and stylish patterns. Our highly durable decorative Metal Ceiling Lamps provides a conventional look to the interiors of user's homes. They enhance the overall beauty and look of the surroundings and we offer them in various color contrasts, designs, sizes and specifications with Metal Ceiling Lamps. Affordable rates are our hallmark. 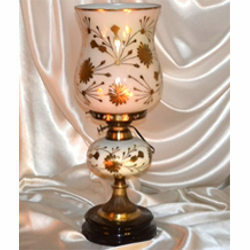 Our enterprise specializes in offering a vastrange ofHandicraft Brass Table Top Light. Color Temperature: 2700- 3000 k,3500-4100 k,5000-6500 k.
Keeping in mind ever-evolving requirements of our respected clients, we are offering a premium quality range of Printed Lamp. 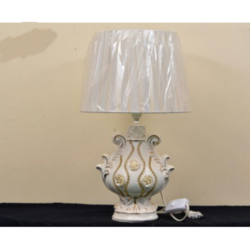 Backed by a rich industrial experience, we are engaged in offering a commendable array of Decorative Lamp. Baba Glass World Pvt. Ltd.